From Goosebumps to the terrifying illustrations of Scary Stories to Tell in the Dark, many readers vividly remember the books that scared us as children (was anyone else traumatized by that story about the green ribbon?) Some love scary stories, some hate them. Whether you prefer treats or trauma, here are 6 sweet and spooky Halloween books that are perfect for the season. Unpleasant dreams, darlings! If you love all things dark and creepy, look no further than this fantastical supernatural Southern Gothic tale, in which 12-year-old Hoodoo Hatcher must save his family of folk magic practitioners from the demonic Stranger — despite not being able to cast a spell. Hoodoo is gorgeously written, wonderfully atmospheric, and deliciously dark. It doesn’t get any more classic than a haunted house. The basic premise of Spirit Hunters — 12-year-old Harper Raine moves with her family to a new house in Washington D.C., only for strange happenings to occur after her little brother makes a new “imaginary friend” — is a classic one, but made fresh with elements of Korean shamanism, as well as a compelling psychological as well as supernatural mystery. If you love Halloween but prefer your books to be sweet rather than scary, try this heartfelt contemporary fantasy about a family of brujas, or witches of Mexican descent, who run a magical bakery. It’s been pitched as a middle grade Practical Magic, so if you’re a fan of that perennial Halloween favorite, witches, or sweets, give this a try! If you’re a fan of classic gothic horror, try this spooky Victorian mystery inspired by Oscar Wilde’s classic The Picture of Dorian Gray. The setup invokes a lot of classic gothic tropes, with young Bryony kept locked in the attic and forced to paint by her sinister uncle, and things get wilder from there with a family curse and monstrous paintings coming to life. It might seem strange to include the sequel to the wonderfully whimsical Furthermore on a list of creepy reads, but Whichwood is a significantly darker and grislier tale. The protagonist, Laylee, is a mordeshoor, who washes the bodies of the dead. The supernatural elements get pretty gruesome, but it’s rooted in a deeply moving story about friendship. Besides a fantastically chilling cover, The Jumbies also boasts a menagerie of creepy monsters from Caribbean folklore and a brave, gutsy heroine. Try it if you love the dark side of fairy tales but want something outside the familiar. There’s also the sequel, Rise of the Jumbies (which has an even more gorgeous cover). If you like monstrous girls, you’ll love the tale of Lolly Salt, who dreads the day she’ll have to become a siren like her sisters and lure sailors to their doom at the command of the powerful Sea Witch. Siren Sisters isn’t quite spooky, but it features monsters and historical witch hunts, and an ending that’s truly haunting in the way of the best ghost stories. 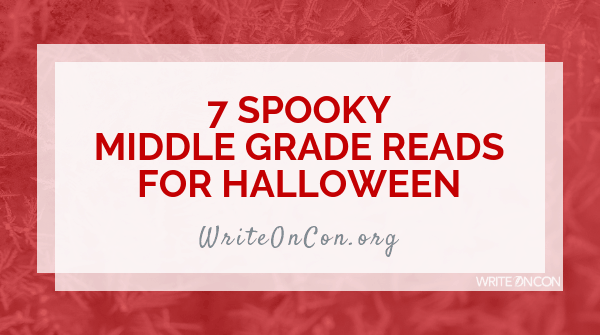 What are some of your favorite spooky MG reads? Such a great array of options. And kudos to these awesome covers, too. It’s like a book art gallery.